IT’S NOT UNCOMMON for optometry practices to manage their frame inventory using a stock ordering system. This means that opticians sell the frames off the board leaving a need for replacing an empty space. If they have undisplayed frames, they will take the “under-stock” and put it in the empty space. This process continues until the frame rep visits to place a replenishment order. It is also not uncommon for frame stock to “creep” into inventories that lack variety and fluctuate in value over time. It is estimated that at least 50 percent of most private practice inventories turn one or less times a year (a turn is a sale). Only about 25 to 30 percent turn more than three times a year. If a private optometry office has an inventory of 1,000 frames, then only about 250 to 300 are turning enough to generate profits. Another 50 percent hardly turn at all. This happens year after year. Many optometry dispensaries have too many frames because they carry too many brands from too many manufacturers. A brand should have a minimum of 40 pieces to be properly merchandised. If you like a brand, then make a commitment to it. Don’t purchase 18 pieces to “see how it will sell.” This is often done and when repeated over many months results in having 30 or 40 brands in inventory. Limiting your number of manufacturers has several benefits. One is that you’re now important to that manufacturer; purchasing three or four brands each with 40 pieces gives you power. You’ll be able to negotiate unconventional exchange provisions, free shipping, better pricing (because you’re purchasing more). Selecting the right vendors is an important decision and should not be done casually. You’ll want to know the sales representative but also their management. Make sure they have a large enough portfolio of brands that you can select more than one to display. Discuss up front your expectations on exchange policies, pricing and close out opportunities. It is your business and they should accommodate you, not force you to work on their terms. This inventory is a “display only” and opticians place an order for the frame the day it is sold. If the office finishes in-office, the frame is shipped directly to the office. If it will be finished at a lab, then the frame is drop shipped directly to the lab. Using a computerized inventory enables an office to produce a daily, weekly and monthly report of the highest selling frames they carry. By not selling “off the board” these high selling frames are available every day for patients and customers to purchase. 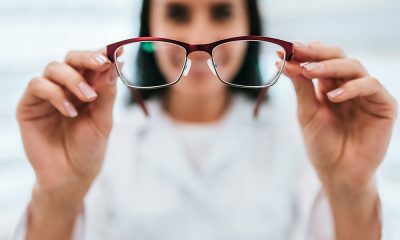 When your sales reps visit the office, the report of their brands will show which frames should be exchanged due of lack of sales which continually optimizes the appeal of the frame inventory. Using this approach increases the turn rate of a large portion of your inventory and doesn’t limit profit generated thanks to the ever-increasing customer appeal of your frame display. If a brand consistently doesn’t perform, replace it all together with another brand, preferably one from the same manufacturer. If that’s not feasible, replace it with a brand from one of your other manufacturers. By ordering frames each day from fewer manufacturers, they’ll gladly provide free shipping because they’re shipping several at once. You will also receive smaller invoices more frequently which are much easier to manage from a cash flow perspective. Large orders placed by frame representative to restock openings in the display create large invoices they expect to be promptly paid. This approach to managing your inventory creates a high performing optical paying you big dividends and large profits.